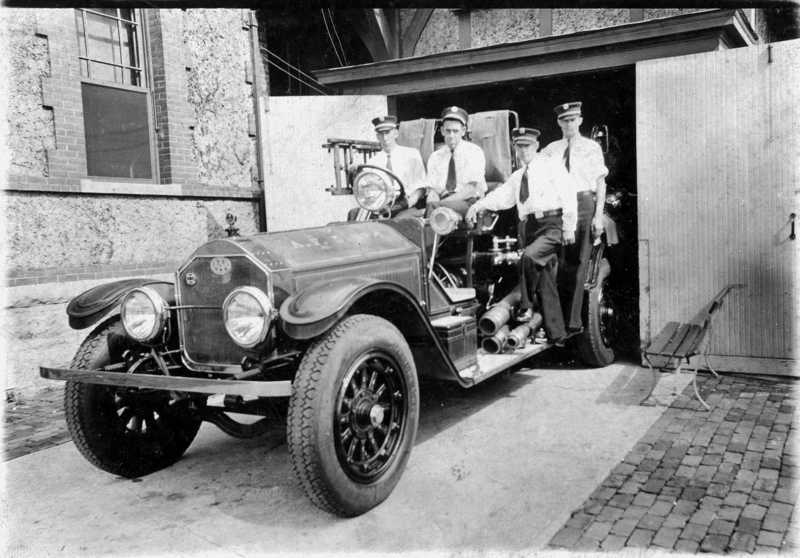 Station 5 first opened on August 29th, 1929. 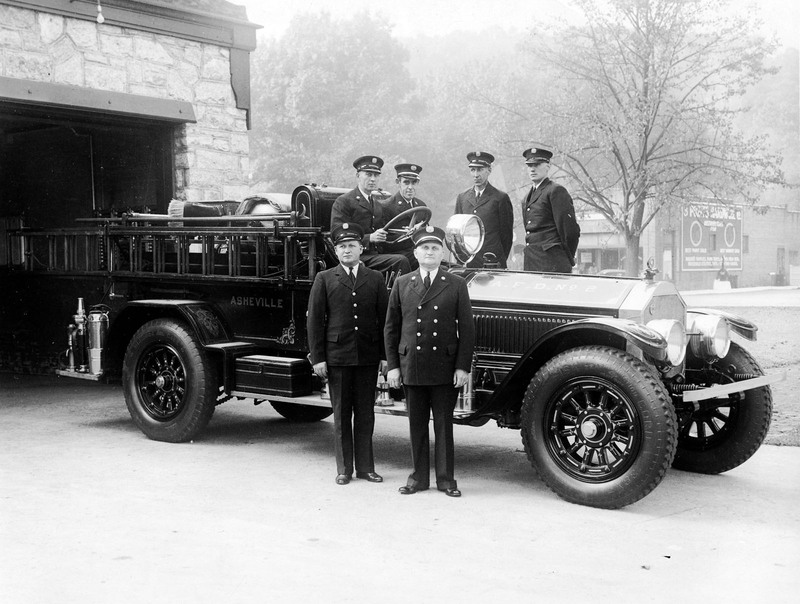 Biltmore Village was created by George Vanderbilt and it had its own fire department. 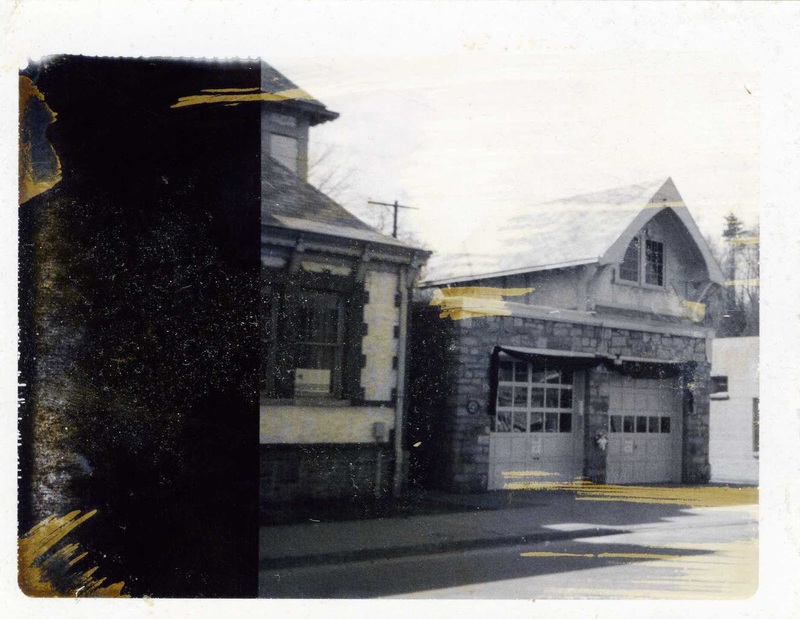 At some point that fire department enclosed the porte cochere seen at the back of the 1895 Biltmore Estate office building above. 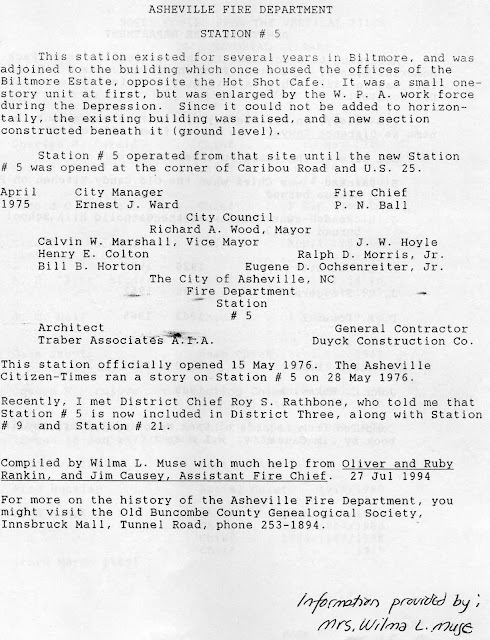 The City of Asheville annexed Biltmore Village in 1929 and moved into the old Biltmore FD station. The bunk was upstairs with a large stainless steel fire pole just inside the back door. You can see the now enclosed porte cochere in this photo. This American LaFrance Engine 4 was a tight squeeze. 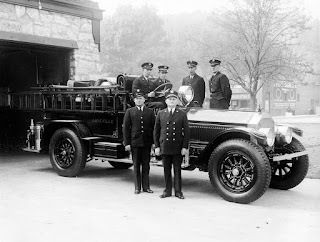 The fire truck bays were expanded to two bays during the Great Depression as a WPA project. 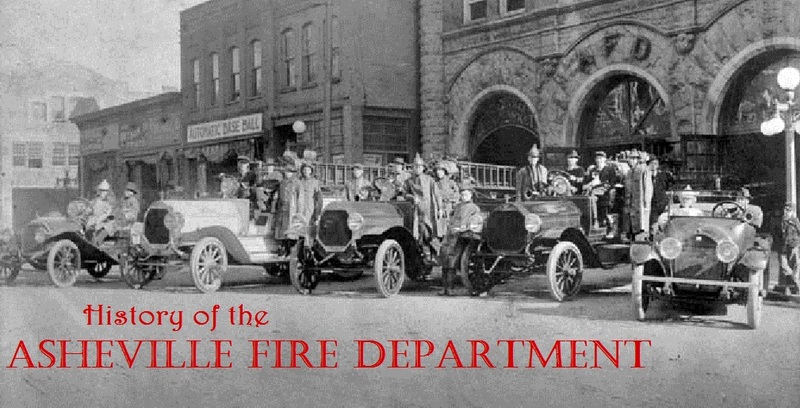 The above photo with the American LaFrance Engine 2 and crew shows part of the new bays. Biltmore leased the first floor and used it for tickets sales to tour the estate. This is the only known photo of the entire truck bays. It was provided by retired Captain Bruce Duckett who's father, Lt. Arthur W. Duckett, died of a heart attack at Station 5 on March 7th, 1966. A new Station 5 was built at Hendersonville and Caribou Roads opening on May 15th, 1976. The bays were torn down in the late 1970s.